Effective delegation can maximize productivity and reduce stress levels significantly. It might not be easy for you to share your workload, especially if you started your education business from the ground up. Fortunately, effective delegation is a skill that can be learnt and refined over time. With great tutor centre software on your side, you can master it in no time. Our Task Add-On allows you to quickly and easily add and delegate tasks to various members in your team. Here are a few different strategies that you can implement (with the help of the Task Add-On) to refine your delegation skills and increase your education business’ productivity. You don’t have to delegate every single task immediately if you’re not fully comfortable with it, but to overcome this obstacle, you may want to start small. When adding tasks in Teachworks, you can assign them to a single tutor. Ask your most skilled tutor to complete a small task and then gradually start assigning more tasks to other team members. Another great feature of the Task Manager Add-On, is the ability to assign priority to a task. If something is very urgent and it requires a lot of skill, you may want to keep it on your own plate. If something requires high-effort and low skill but is not particularly time sensitive, you could assign it to someone else and save a lot of time in the process. Doing this consistently will help you become more comfortable with delegation. Avoid communication gaps by including thorough, straightforward instructions about each task. A task might seem obvious to you because you’ve done it many times before, but if your staff member is doing it for the first time, they might not know about your specific preferences. Perhaps you’ve found shortcuts that they’re not aware of or there’s a specific method that needs to be followed – include as much information as possible to ensure that the task is done well from the get-go. When adding a task on Teachworks, you can add a detailed description. You might be hesitant to share your workload because your team doesn’t have the necessary skills to execute tasks efficiently. You may want to take advantage of this opportunity to share your knowledge and expand their skillset. This will make your employees feel valued and trusted and it will help you in the long run as you’ll be able to delegate your tasks easily and efficiently. 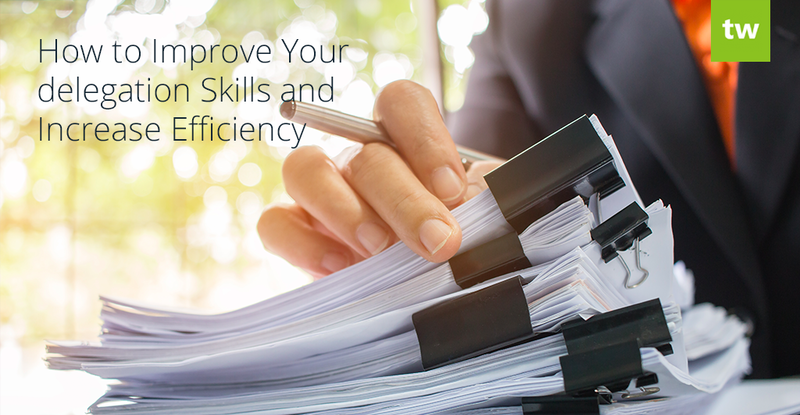 It might seem time consuming at first, but once you’ve passed on your knowledge to your employees, they will be able to handle similar tasks in future, saving you tons of time in the long run. You may want to write out step-by-step notes that tutors can refer back to when they’re dealing with a specific task. You can use the Profile Attachments Add-On to attach instructions directly to teacher profiles for future use. Be approachable and make sure that your tutors are comfortable to give you feedback about their progress. If they don’t feel comfortable approaching you with certain questions or concerns, they might take longer to complete tasks, thereby decreasing efficiency. When adding tasks in Teachworks, you can send a notification email to the assigned employees. The notification template is completely customizable, so you may want to write down the steps that they can take if they have any questions. This will help to build trust between you and your employees and it will promote teamwork. The sooner you start assigning tasks to your employees, the sooner you will start feeling comfortable with it and the sooner your business’ productivity will increase. There might be a few hiccups along the way, but just keep trying to improve the process and very soon your company will run like a well oiled machine. The Teachworks Tasks Add-On will help you to simplify and streamline delegation, whether you’re assigning tasks to a single employee or multiple employees at a time. 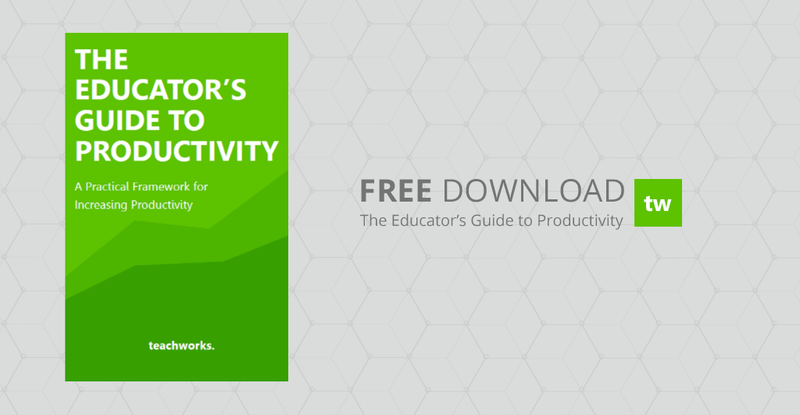 Download our FREE e-book for more tips and tricks about increasing your company’s productivity.